Join us for our Sunday worship service as we celebrate the presence of God and engage with one another for encouragement to live as God intended with our whole lives. After the service, be sure to stay and have some food and fellowship. Head to our Visit page for information about service times, locations, children's programs, and more! We'd love to get to know you better and help you get connected to our community. Fill out a connection card and our welcoming team will reach out to you shortly. MyRock is Highrock's online community. Here you can get Highrock's weekly emails, join ministries and groups, securely check your personal giving history, and much more! This communication hub is a must-have for regular attenders and members of Highrock. The Highrock App provides easy access to sermon video and audio, songs and Scriptures we use in worship, upcoming events, giving, and much more! Visit the app store for iOS or Android to download. Serving in minstry, both inside and outside our church, is how we engage in God's purposes for our lives. It's also one of the best ways to meet new people who might even share common interests and passions. Learn about our ministries and get involved in what God is doing in the world and at Highrock! Members of the pastoral staff host short-term groups once per quarter to help you take your first steps in getting to know some other people at Highrock. Topics range from the current sermon series to special studies designed to introduce you to the church. Our hope is that you might find some people in a First Steps Group who would like to continue meeting as a refular small group! For information about the next available First Steps group, contact Pastor John Mury, at john@highrock.org. Joining a small group is one of the most significant ways to grow deeper in your relationship with Jesus and with others. Because relationships take time and investement to develop, small groups are a way we commit to doing life with a concentrated group of people. 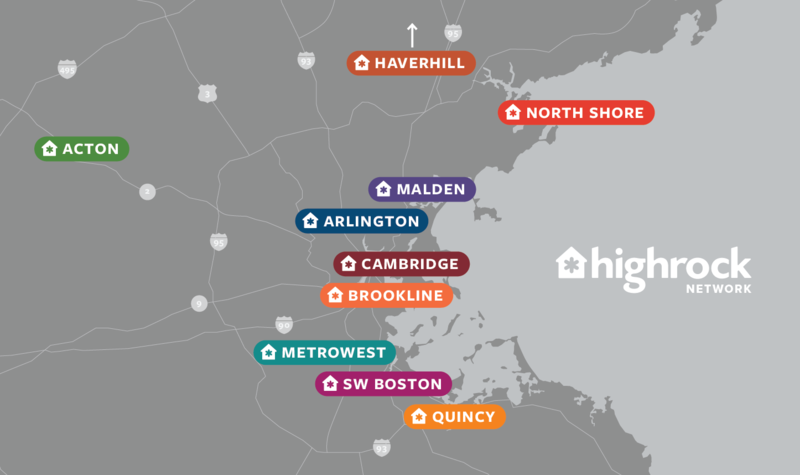 To find out about small group openings, please contact metrowest@highrock.org. Becoming an official member means making Highrock your spiritual home and committing to our mission and vision. It means higher commitment, but also deeper fellowship and celebration as we follow Christ together and share in his work. Email katie@highrock.org for information on the next membership class.